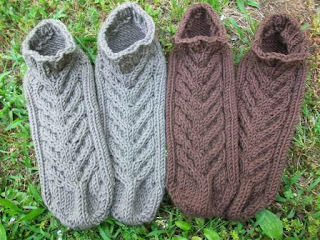 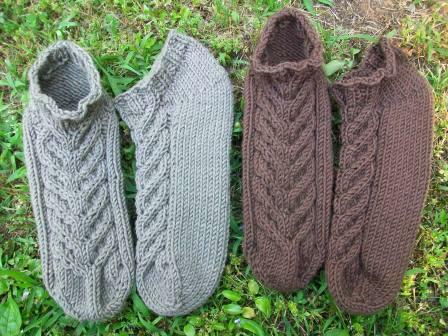 I recently finished these two pairs of slippers using the pattern Simpliworsted Baronial Slipper Socks by Nigel Pottle. The yarn isHiKoo by skacel Simpliworsted, one in taupe (64 Totally Taupe) and the other in brown (35 Turkish Coffee). They will most likely be Christmas gifts.